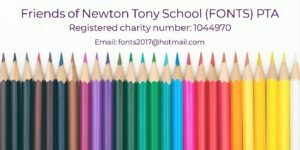 Fonts is a registered charity, with the aim to raise funds for our beautiful school. The school that is small but, thinks big. Parents, Teachers, Families and Friends, work hard throughout the year raising vital funds to enhance the enjoyment of the children attending the school. All proceeds go to supporting the children with additional and extra-curricular equipment, funding trips, contribute to future building projects for the school. All parents/carers and friends of the school are welcome to the FONTs PTA meeting.